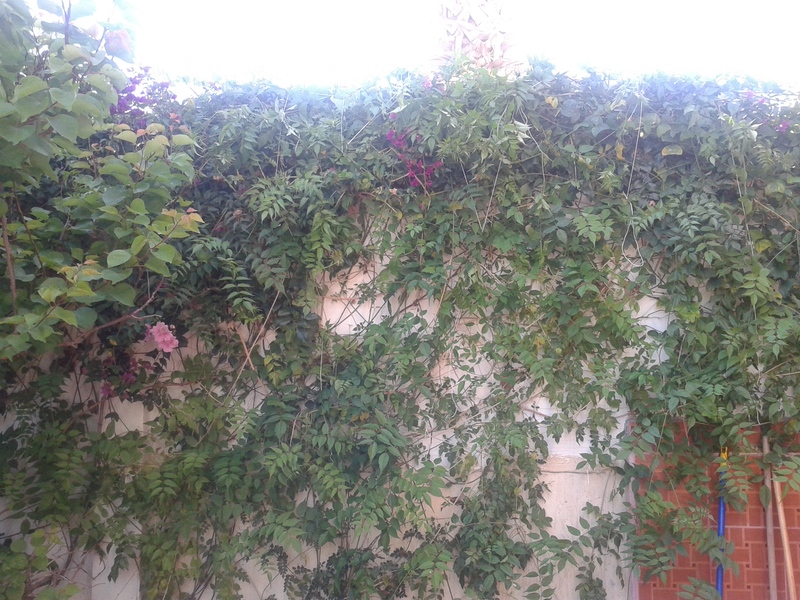 On April 23th I took this photo after attempting to persuade some of my climbers to ‘knit’ themselves around each other to fill in the gaps on my newish wall. And here it is today some 6 weeks later! Still some way to go, but very pleased with progress. Even got some pink flowers! The rest of my garden plans have been rather postponed by the arrival of four orphaned pups (my friend has the other four) nearly 8 weeks old now so hopefully will be off my hands next week if we can find good homes! 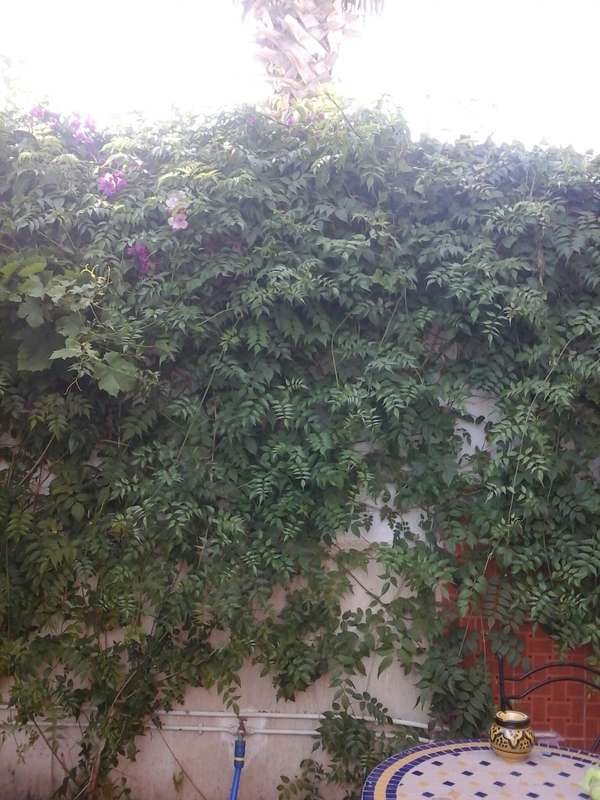 This entry was posted in Agadir, How does your garden grow on Jun 12, 2014 by ChristinaMaroc. Oh wow it’s grown so well and really filled up those gaps! I hope you find some lovely home for the pups soon – I’ll stalk your blog for a glimpse of them! Thank you. This weekend is D day (dog day) just preparing leaflets for door to door delivery. Hoping we get a good response and the remaining three pups find good homes quickly. HDYGG is a highlight of my week, thanks for hosting!